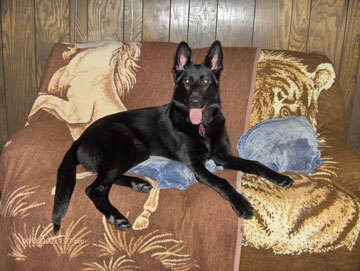 This a picture of Jade at 6 months old on her favorite couch that she loved to eat as a puppy. Shepherd and in turn she will take care of you! God Bless All Dogs!!! Wow, I have a rescue dog named Buddy that looks just like her. I just love Black GSD. She is so beautiful.